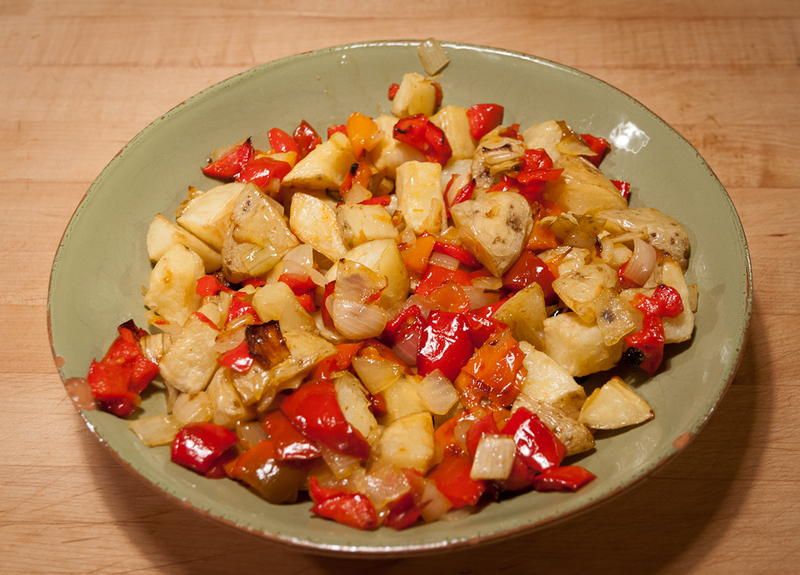 This entry was posted in Fall/Winter Vegetables, Summer Vegetables and tagged Dean and Deluca Potato salad, Potato harvest, roasting potatoes, roasting potatoes with other vegetables by Lopez Island Kitchen Gardens. Bookmark the permalink. I love the dark, rich soil. Is this natural for Lopez, or have you amended with compost, etc. over the years? Oh, yummmmmmm…! Thank you so much, Debbie. 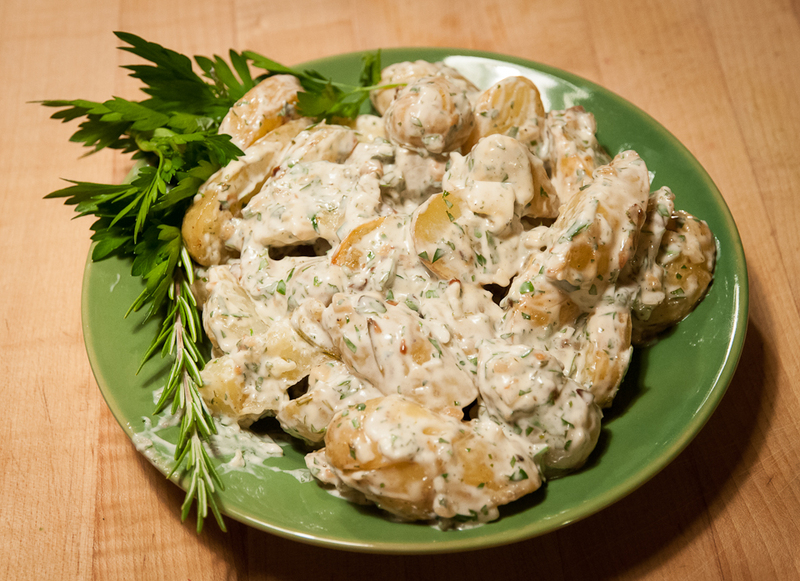 Thanks for the great Garlic Roasted New Potato Salad recipe. We’ve been loving having lots of garlic roasted potatoes recently but I’m ready for a new twist! 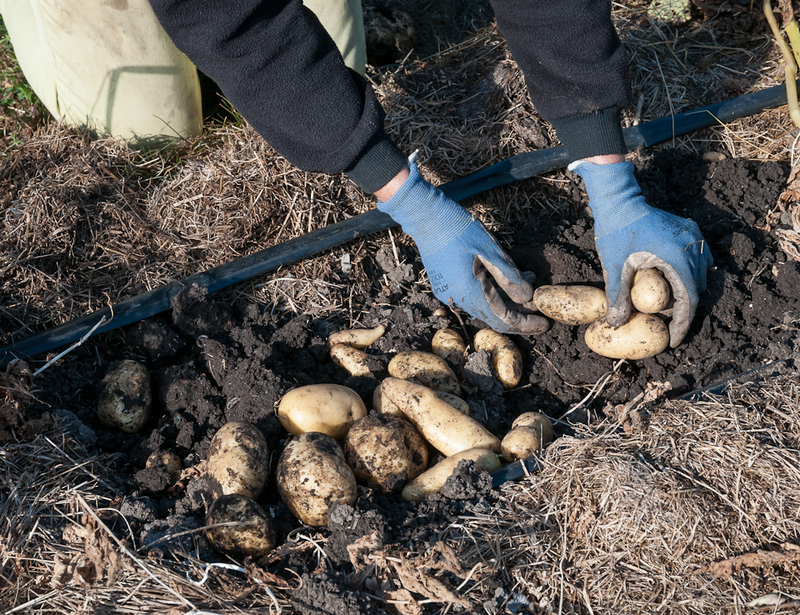 Do you wash your potatoes at some point in the storage process? Was reading that after a number of days drying in the dark you could then wash them. Wondering if there are pros and cons about this. Thanks as always for your wonderful blog! I’m glad you like the variation on garlic roasted potatoes. It’s pretty rich but soooo tasty. 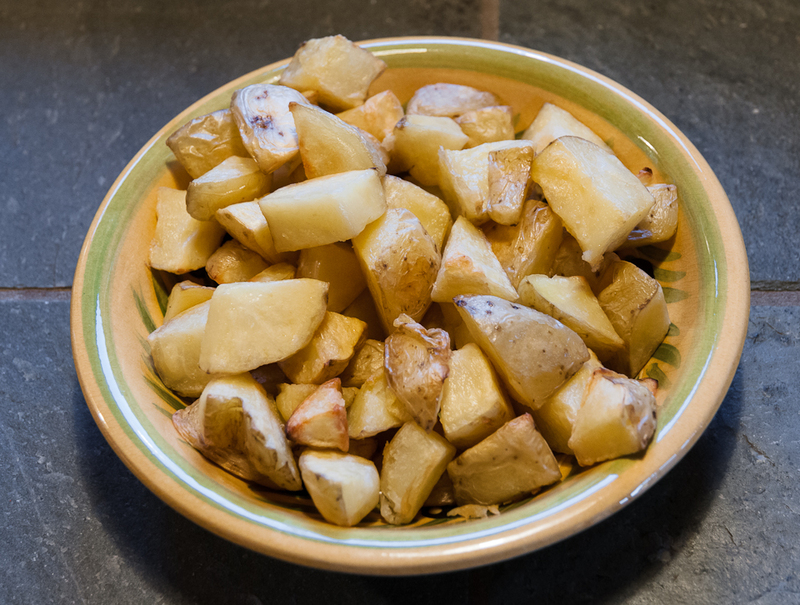 About washing potatoes: I haven’t washed them though a year or two ago I dug them when the soil was quite muddy and sort of wished I had washed them. The dirt dries in the paper bag and sort of dusts off. I do the serious washing when I prepare them for cooking. My reason for not washing them is not based any knowledge, just laziness, avoiding one more step!